Who’s local to me? 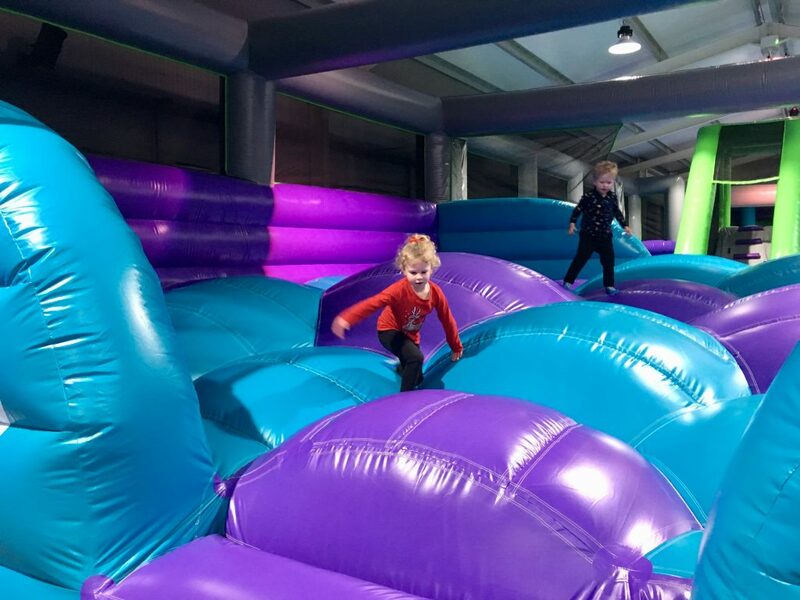 There is a new inflatable playground opening up tomorrow (14Dec) at 3pm in Burnley! We were treated* to a preview of it today and we had such a good afternoon. Air Unlimited Burnley is the only inflatable playground in Burnley and as far as I know, the wider area. 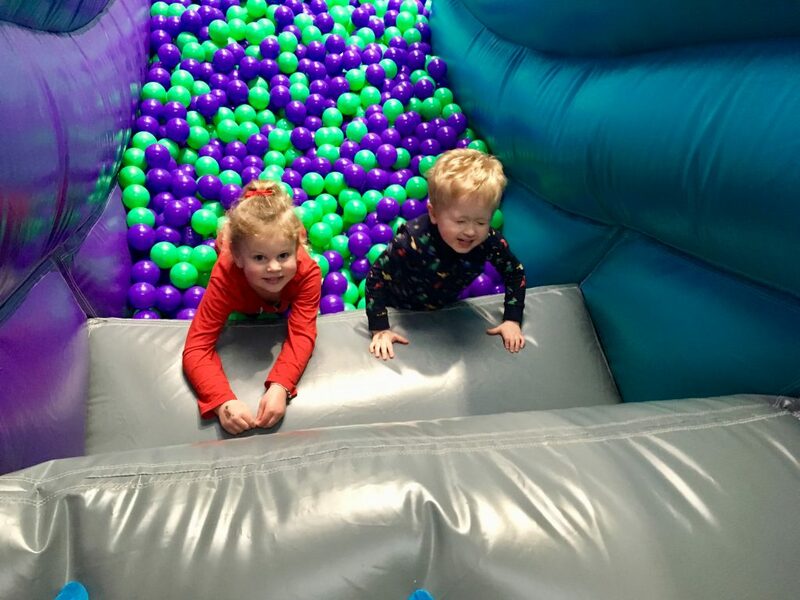 There are a fair few trampoline parks but this is something that bit different and so much fun. 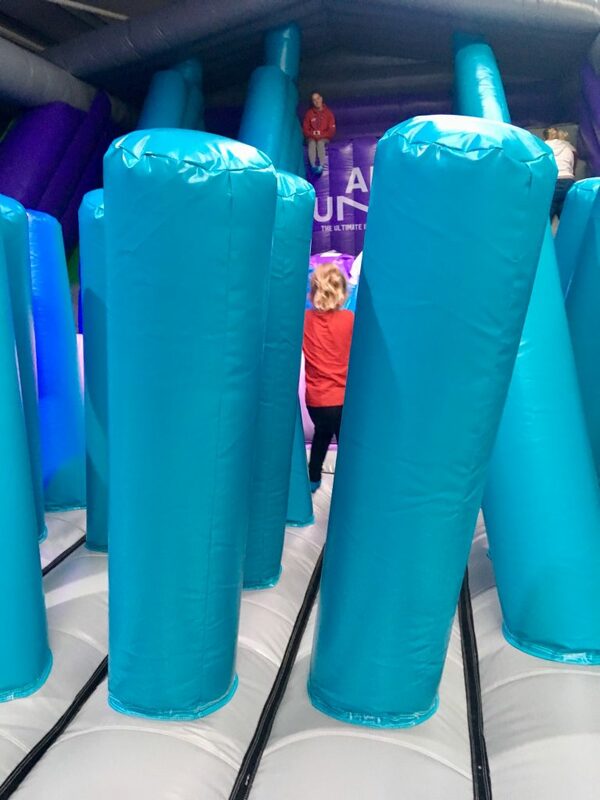 It has been opened up by Calum, who started a trampoline park in Liverpool and wanted to open up something new. Before you start playing, you need to sign a waiver form but to save time you can do this online before you turn up. You can also book your session online too which is recommended so you aren’t disappointed if you turn up and there isn’t any availability. There is a cafe within Air Unlimited Burnley that sells a variety of meals and snacks. There are also lockers to keep your belongings in which are free to use. I went today with Lucas and his friend S. They both loved it and have asked to go again already. Lucas is 3 and S has just turned 4 so I went on with them. 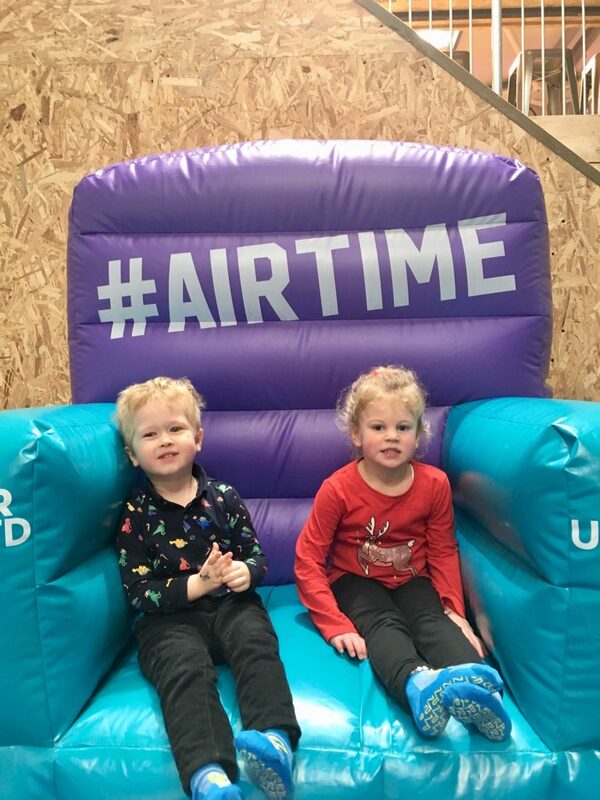 Children under 5 need to be accompanied by an adult and all need to be wearing the AirUnltd rubber grip socks that can be purchased from reception. They cost £1.95 a pair but you keep them to wear each time you return. 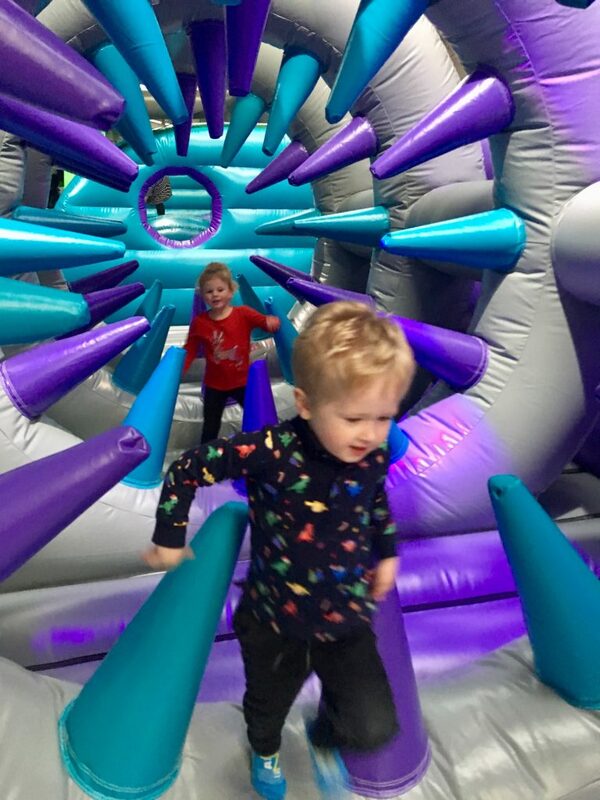 There isn’t a separate toddler area so I can imagine when you have older school children in, it might be harder for the little ones to get around but today was incredible and they could run, jump and fall to their hearts content. 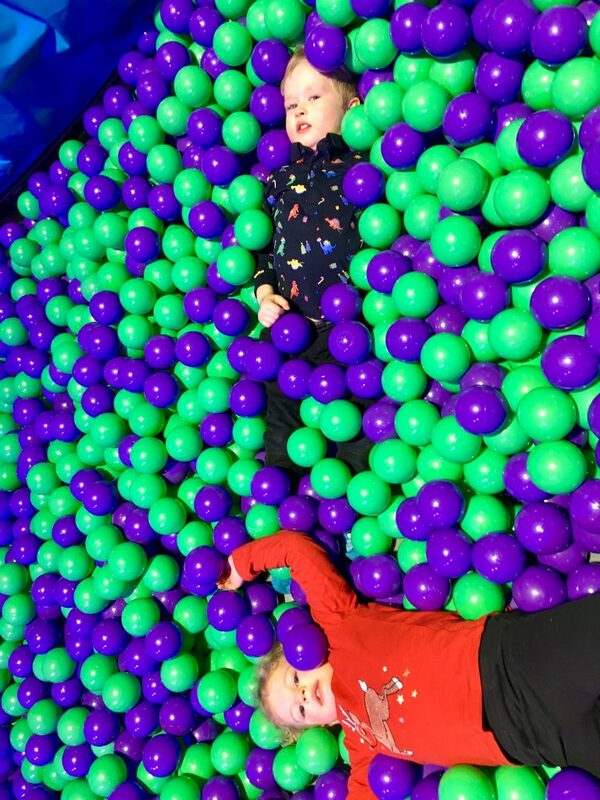 Not having a separate area isn’t really an issue as I’m pretty sure most parents with preschoolers take advantage of going to places like these when it’s quieter during term time. 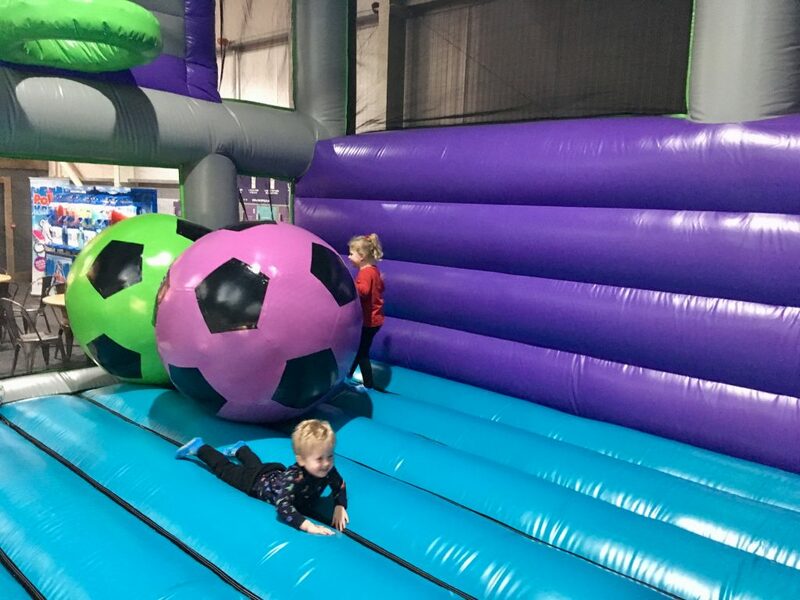 Air Unlimited Burnley is also going to be holding toddler sessions at a reduced price between 10am-1pm Monday to Friday, where they can bounce around with their toys and favourite music. They are also doing relaxed autism friendly sessions every Sunday 9am – 10am plus a 2 hour session on Monday between 6pm to 8pm. These sessions are designed to accommodate and encourage young people with autism to have fun in a relaxed, peaceful environment. 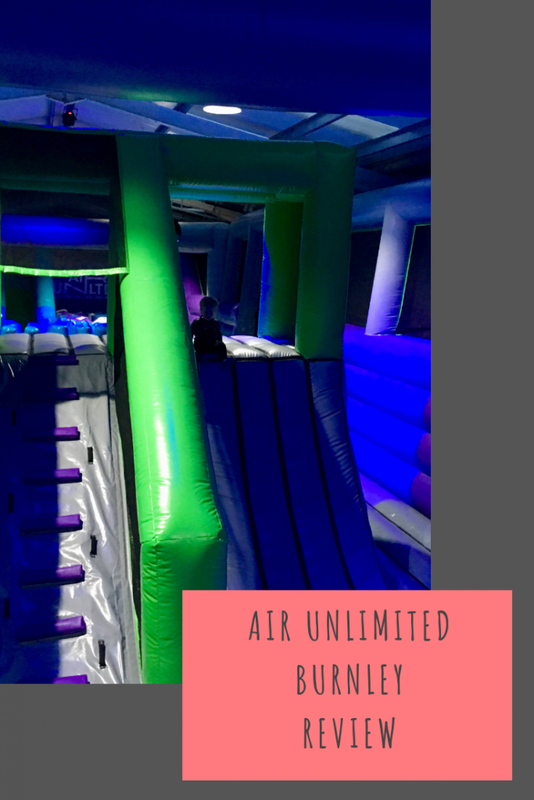 Air Unlimited Burnley is one huge bouncy play area, there are obstacles to climb through, you can bounce as you would on a bouncy castle or trampoline, there are 4 slides and 2 jump drops, a gladiator podium and giant football and basketball zone. We definitely recommend going and checking it out yourself. Even as an adult I love things like this! Looks like that had a great time here but what’s not to love! It’s like a giant adventure playground! Soft play is the best, especially when it includes inflatables. Thanks for the great competition. Good luck everyone! This looks fantastic, can’t wait to take my 4 & 5 year old. This looks amazing and is literally just down the road from me. My kids would love this! It’s a shame we live quite a distance from Burnley but if we ever find ourselves nearby, this is definitely the place to go! Can’t wait to go, sounds like my two kids will love this even with big age gap. This looks amazing!!!! Can’t wait to visit!! My little boy would really love this. He has hypermobility and anything like this would help with his core strength too. Wow, this looks fantastic. Fingers crossed. Wowza looks like so much fun for me never mind the kids!